While the clear intentions of vodka and gin were an easy sell for my cocktail glass, I admit it took me a little longer to dabble in the dark liquors. Mostly because I was confused. Was rye like bourbon? But what the hell was scotch? And apparently they’re all whiskey? If only I’d had this book. 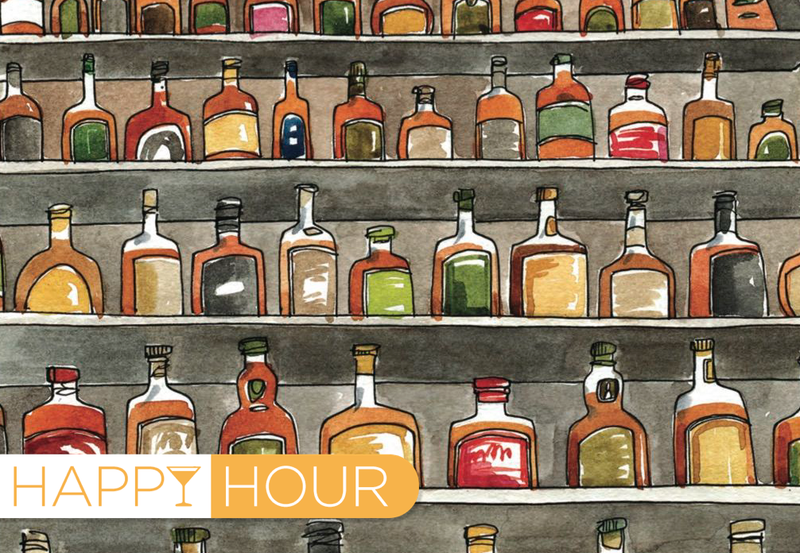 It’s Friday afternoon, you’ve made it through the long week, and it’s time for Happy Hour, Gizmodo’s weekly booze column. A cocktail shaker full of innovation, science, and cask strength. It sounded gimmicky—a scratch-and-sniff board book that could school me on fancy liquors?—but once I got it in my hands (nostrils? ), I realized that there might not be any better way to learn the ways of whiskey. According to author Richard Betts our olfactory senses are far more developed than our tongues. “We actually only taste sweet, sour, salt, bitter, and umami,” he told me. “Everything else we think we’re ‘tasting’ we’re actually smelling.” Who knew that one of the best ways to find your way around a cocktail menu is through your nose? 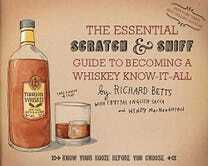 The Essential Scratch & Sniff Guide to Becoming a Whiskey Know-It-All: Know Your Booze Before You Choose is a joint project between Betts, art director Crystal English Sacca, and artist Wendy MacNaughton (who wrote and illustrated her own lovely book on San Francisco urbanism; check her out on PBS NewsHour explaining her process). The trio had already worked together on a similar scratch-and-sniff book explaining wine, but whiskey was a bit different. Namely, it was higher proof: The team had to taste over 300 whiskeys featured in the “whiskey wheel” included with the book. FOR RESEARCH. I found what Betts was saying to be particularly true when investigating one of my long-standing queries about whiskey: Why did my scotch smell and taste like Band-Aids? Taking my nose on a spin through the Place section, I learned how high humidity makes American whiskeys more sweet, and discovered that I might like Irish whiskeys more than the too-sweet Kentucky bourbons. But I also learned how the interaction between Scotland’s saline breezes and smoky peat releases that plastic-iodine flavor I know so well. When I sniffed that page, suddenly, it all made sense. I used the whiskey wheel in the back to locate a few other scotches that steered slightly away from the medicine cabinet. The book is worth it just for that wheel alone—a way to explore hundreds of new whiskeys you might never have discovered. You might use this book as that kind of secret weapon—one you might not want to reveal when you ask for a more obscure bottle and casually toss off phrases like “sherry finish” to the mixologist. Or you might want to brag, as I do now, that everything you know about whiskey came from enthusiastically coaxing ocean scents out of a colorful Scottish tartan in what feels like the best-ever children’s book for grown-ups.